How has the Egyptian military shifted from their defense obligation to economic expertise and what do they actually own? During the last couple of months, several groups have been demanding the “Fall of the Military Dictatorship”. Far away from whether this ultimatum is agreeable or not, it has to come to one’s accord that if put into operation, this demand includes more than just handing over political power. It is all about money, shares, and production. One needs to take into consideration that the military is a crucial factor in the Egyptian market, economy and stock market and offers an income to an uncountable amount of Egyptian citizens. 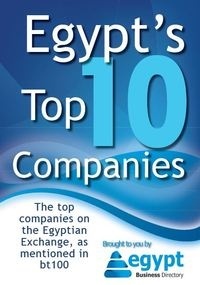 Word has been going around that the Egyptian Military controls about 40% of the Egyptian stock market. According to the New York Review of Books, Tantawi “controls 40% of the Egyptian economy,” making him the “corporate head of this empire”. But what does the military really own? One thing is clear: the military produces almost everything that could come to one’s mind. From the tiniest plastic spoons to the biggest aircrafts and bridges, they cover all sectors – agriculture, industry, chemical, services, construction etc. Carnegie Endowment for International Peace (CEIP) states that “the military owns at least 35 factories” which they refuse to privatize. These companies do not belong to the defense industry, but rather produce non-military goods and services. CEIP also states the three major military bodies that operate in civil production: the Ministry of Military Production, the Arab Organization for Industrialization, and the National Service Products Organization. Besides producing consumer goods, the Arab Organization for Industrialization (AOI) also has strong international relations with major multinational companies in France, United States, United Kingdom, China, Spain, Germany and Japan. According to AOI’s website, it has relations with General Electric, Chrysler, Peugeot, Rolls Royce, Mercedes, Knorr, ThyssenKrupp, Mitsubishi, NEC. The involvement of the military in producing civilian goods is nothing new, and flourished especially in Mubarak’s era, in an attempt to monopolize the Egyptian market – as some say. Already in Fiscal Year 1985, military-operated facilities (including dairy and poultry farms, fisheries, cattle feedlots, vegetable and fruit farms, bakeries, and food-processing plants) accounted for 18 percent of the nation's total food production – and it has been growing ever since. Till today, there are economic and political tensions between the business elite and the military, but the overall relationship between the two still appears to be cooperative, rather than adversarial. In 2008, US Ambassador Margaret Scobey said: “The military helps to ensure regime stability and operates a large network of businesses, as it becomes a 'quasi-commercial' enterprise itself.” This is proof enough to assure that the military’s priority was not solely defending the country in wartimes. After the Camp David Accords, army factories under the control of the National Service Products Organization shifted some of its production from armaments to consumer goods. Defense-bodies were not needed anymore after four wars against Israel, which were concluded with a peace treaty in 1979. Joshua Statcher, Political Science Professor at Kent State University, commented in an interview that at that time, generals were offered positions in the private sector: “It's a sort of jobs program. They tend to offer them higher salaries as a sort of golden parachute to get them out of the military and into the economy." The question is: how safe is it to let the military detach itself from defense production and enter the civilian production market with such strength and power? How will such a military rule hand over the power to civilians and completely pull out of the country’s system, when it already is deep-rooted in the economy and almost monopolized the manufacturing industry? Robert Springborg, a professor in the department of national security affairs at the Naval Postgraduate School in Monterey, Calif. says: "It's not just a question of preserving the institution of the army. It's a question of preserving the financial base of its members." Finally, it is worth noting that the army’s generals would definitely refuse to lower their current standard of living and the Supreme Council of Armed Forces surely does not want anyone poking around in the history of their accounts, let alone be held responsible for their income. -	Kabo ElNasr Clothing and Textiles Co.